Walking the relaxing Riverwalk in Bradenton, Florida let us look at the boats and yachts on the sparkling brackish water of the Manatee River. 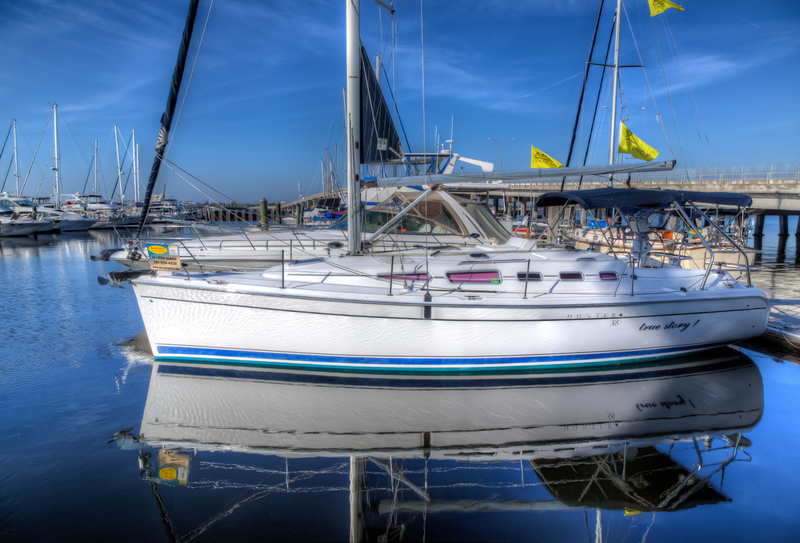 This yacht is almost perfectly still on the calm waters yet you can see the squiggly lines caused by the tiny ripples and the 5 exposures used to make this image. I can easily take out these ghostly lines but they were there and show the wave motion. This yacht was for sale, so hurry you may not be too late. 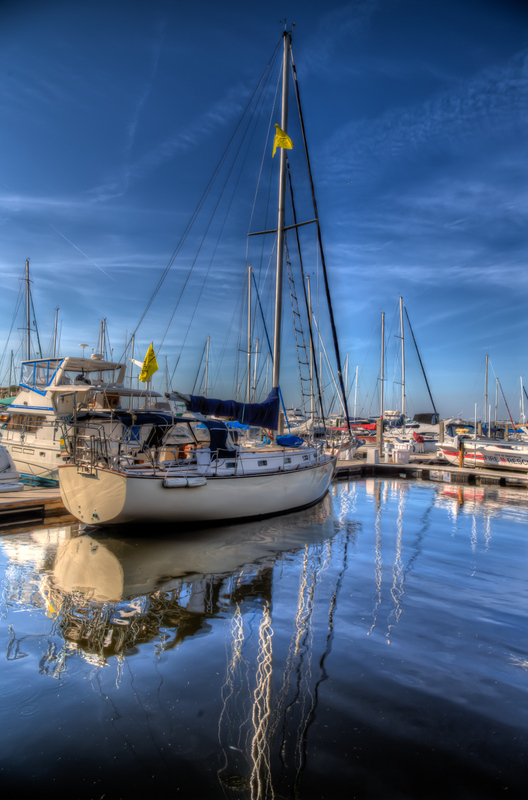 BEAUTIFUL PHOTO COMPOSITION OF BLUE SKY, PROMINENT WATER REFLECTIONS & FLEET OF GORGEOUS SAILBOATS IN THE MARINA.